MANUFACTURING firms of different stripes and sectors will get a $3.8 million package from the government to upgrade their workforce in a holistic way. 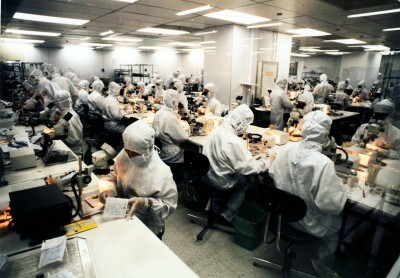 The new Manufacturing Plan for Learning and Advancement (PLAN) launched by the Singapore Workforce Development Agency (WDA) and the Singapore National Employers Federation (SNEF) is expected to affect 1,300 local rank-and-file employees as well as professionals, managers and executives over two years, particularly those working at small and medium-sized enterprises (SMEs). Enhanced course fee subsidies for workers' training. Said Senior Minister of State for Trade and Industry Lee Yi Shyan: "Collectively, these three elements will boost the in-house training capabilities of local manufacturing companies. Through Manufacturing PLAN, we hope to make it more affordable for SMEs to holistically upgrade their training systems and workforce." Mr Lee, who is also Senior Minister of State for National Development, unveiled the plan at a graduation ceremony for 18 workers at Golden Bridge Foods Manufacturing, which makes Chinese sausages and canned meat. Golden Bridge is one of the 30 companies that have pledged to be part of Manufacturing PLAN. Some 22 are SMEs in various sectors. Golden Bridge intends to send at least half of its workforce for training. "Such a comprehensive package is especially important for manufacturing SMEs because these industry players typically operate with modest capabilities and resources. "Going forward, WDA will continue to work with industry partners to roll out more skills upgrading initiatives for Singapore's manufacturing workforce," said Goh Eng Ghee, deputy CEO of WDA.